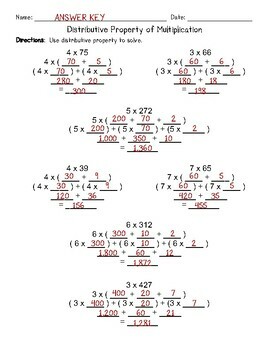 This is a worksheet for distributive property of multiplication at the introductory level. 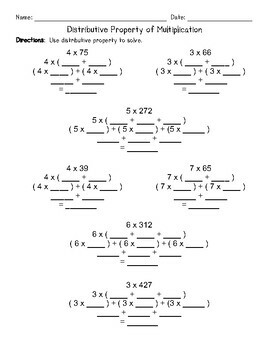 It provides fill-in-the-blank spaces for students to practice breaking down the larger factors into expanded form, and then working through the distributive property. Includes 7 distributive property of multiplication equations that are 2 digit by 1 digit and 3 digit by 1 digit.